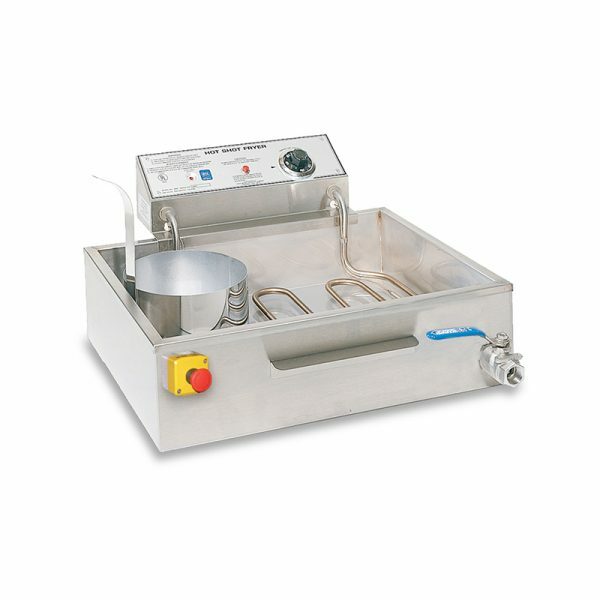 #8066 Hot Shot Hi-Watt Shallow Fryer – BONUS Free 25 lb bag Ferris Wheel Funnel Cake Mix | Pronto Pup Co., Inc.
6500 Watts, 230Volts. 22 1/2″ x 24 1/2″ x 11″. Has enough power to allow you to virtually pour Funnel Cakes continuously. 20 lb cooking oil capacity. BONUS – Buy 1 #8066 Hot Shot Fryer and get 1 – 25 lb bag of Ferris Wheel Funnel Cake Mix w/ purchase.